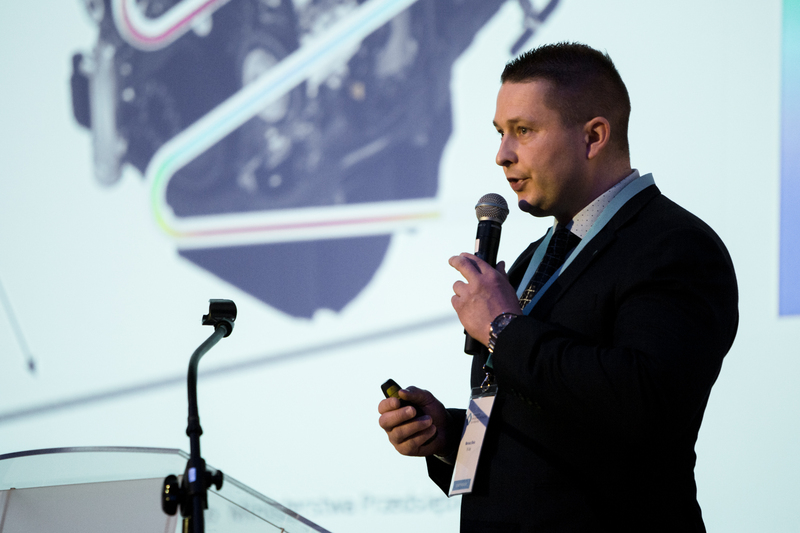 The conference was aimed at supporting the Polish photonic industry. Each of the participants could present their innovative products and establish conversations with potential clients or trading partners. EL-CAB presented a fibre optic system for measuring the temperature in the vehicle, which allows not only to protect the vehicle against the threat of fire, but also to save energy. It seems that the device can be used in electric buses. 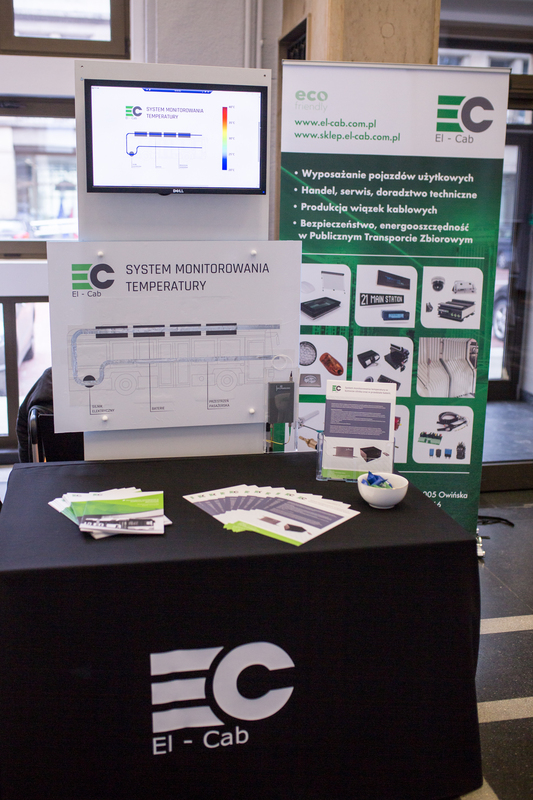 We were able to talk more about the product during the presentation to guests gathered from all over Poland. 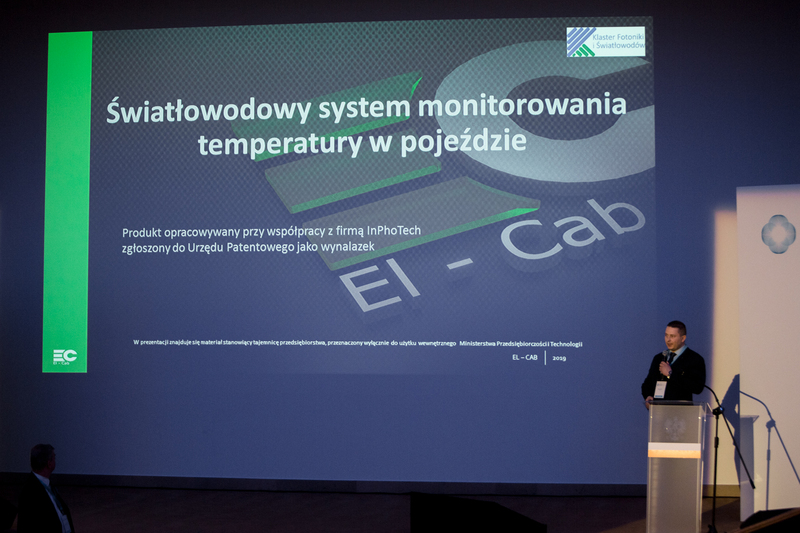 The presentation was hosted by Mariusz Biela, the Product Manager of EL-CAB. We could also present the operation of the device with the help of a demonstrator, which took place in the Ministry's lobby. 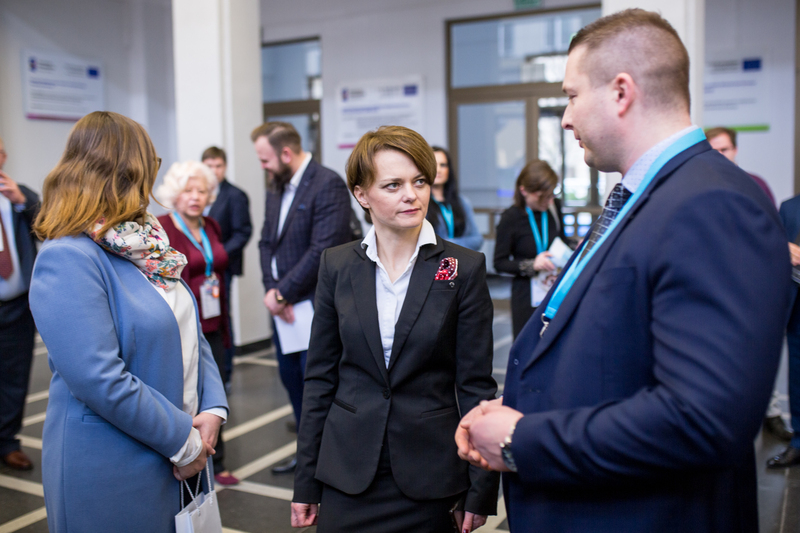 One of the most important events for us during this conference was the fact that we could exchange a few words with the conference organizer, Minister of Entrepreneurship and Technology, Ms. Jadwiga Emilewicz, who expressed interest in the system especially in the use of it for the so-called energy management system in an electric bus, where every energy saving lengthens the range of such a bus. In general, we consider the conference as successful and we hope to develop the system presented by us during this conference. Photo by Beata Bieńkowska / Photonics and Fibres Cluster.